A GOLD Coast mother accused of murdering her two disabled adult children prepared a suicide note for her son and once "put him up to an armed robbery", according to police. Maree Crabtree, 51, was today charged with two counts of murder over the deaths of her 26-year-old son Jonathan in July 2017 and her 18-year-old daughter Erin in September 2012. She was also charged with the grievous bodily harm and torture of another woman, 25, along with several fraud offences and armed robbery. Crabtree was arrested in the Brisbane suburb of Coorparoo earlier today after new information was provided to detectives suggesting Erin and Jonathan's deaths - which were originally deemed suicides - were suspicious. A suicide note was found after Jonathan died but police will allege his mother prepared the note. The woman was arrested in Brisbane today. Detective Inspector Mark Thompson this afternoon told reporters that police allege the murders were calculated and "executed with an end goal in mind". "We allege significant financial gain are the motivators for these crimes," he said. "These (were not) compassionate acts as a stressed mother at her wit's end." The woman is led outside by detectives. Court documents claim Crabtree dishonestly gained an insurance payout of $567,863 between March 2011 and August 2013, according to AAP. 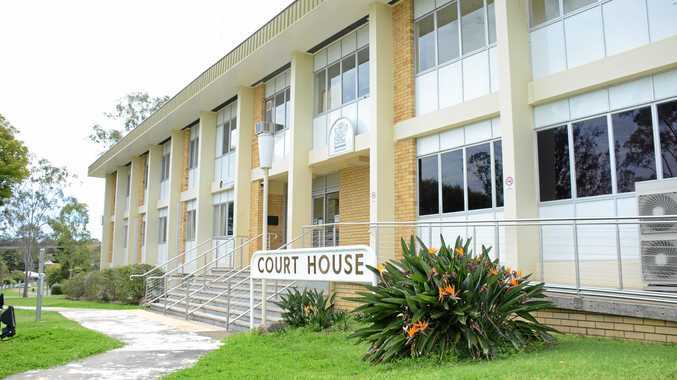 She has also been accused of attempted fraud over a superannuation death benefit policy valued at $125,000 and a fraudulent permanent disability claim of $238,800. Insp Thompson said police will also allege that Crabtree had counselled her son to commit armed robbery prior to his death. "The allegations are she put him up to the armed robbery," he said. The 51-year-old sat in the back of a car with detectives. Police will allege Crabtree, believed to be from the Gold Coast suburb of Maudsland, slowly poisoned Erin and Jonathan before they both died five years apart. Erin's body was found at a Plantation Crescent home in Maudsland, where her mother was living, at the time. Five years later, on July 18, 2017, Jonathan was found dead at a Fig Court, Upper Coomera address. Both deaths were originally treated as suicide. The siblings were believed to have had severe disabilities. Police will allege Crabtree contributed to their conditions by administering scripted medication to them over a period of time. Insp Thompson would not be drawn on whether Crabtree caused the children's disabilities but said the "family dynamic" was harmful to them. "The health and wellbeing of these children, we believe, were impacted because of the guidance the children have received from their matriarch, their mother," he said. Police will also allege the third victim who was found alive in the Coorparoo address had been seriously assaulted on numerous occasions over several years. The survivor was known to Crabtree and spent "extensive" time in hospital as a result of her "significant" injuries, according to police. Crabtree intends to vigorously defend the charges," her lawyer Emily Lewsey said outside court. Crabtree and her family moved to Queensland in 2011. She has another adult daughter who is also believed to suffer from a serious illness. Insp Thompson said the investigation had been complex because many of the alleged incidents took place in different parts of Australia. "That is why we are appealing for anyone who may have any information that could assist with the investigation," Insp Thompson said. "Any piece of information, no matter how small can have a significant impact on our investigation." He urged anyone "anywhere in the world" who may have knowledge about the family to contact police. Crabtree has been remanded in custody and is listed to return to court on February 12.